There were two aspects of our house that drew us to it: the first was that the original owners were the builders and they carefully customized it, taking great pride in its design and construction. 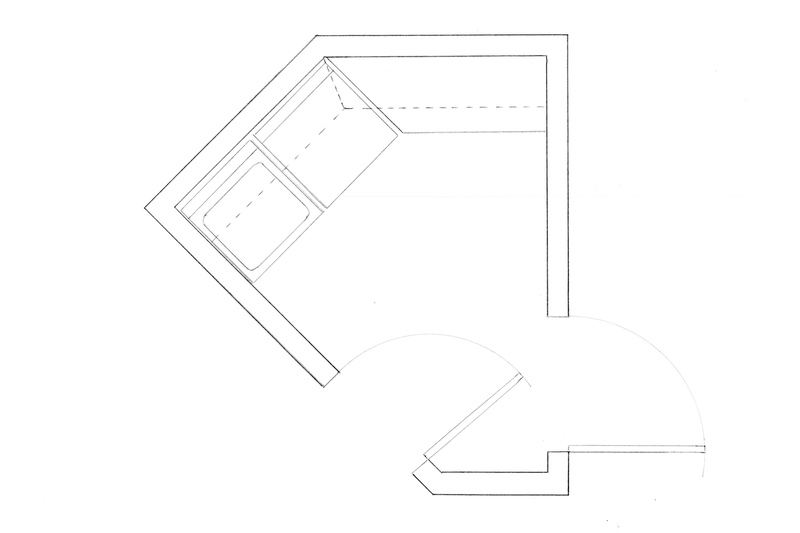 The second was that the house was full of unexpected 45-degree angles. 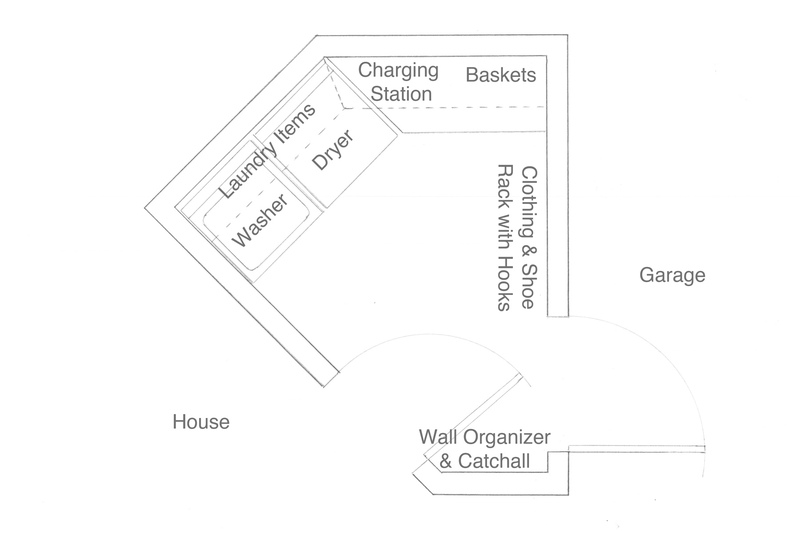 Our laundry room is a great example of these unusual angles: a space just large enough for the washer and dryer with an interesting shape that required custom cabinetry. 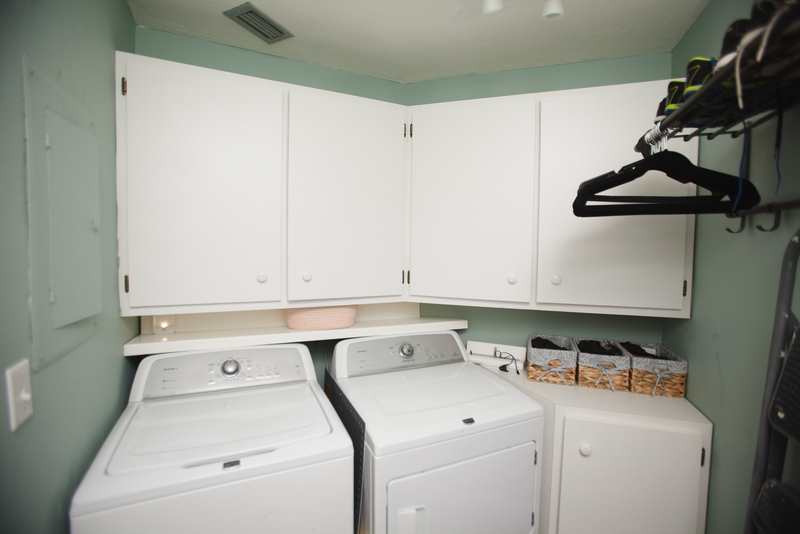 The small size and unusual shape made a complete laundry room renovation problematic. On the plus side, the washer and dryer were nearly brand new and the custom cabinetry fit perfectly. We saw no reason to reinvent the space and decided that we should make the most of the space as it was. 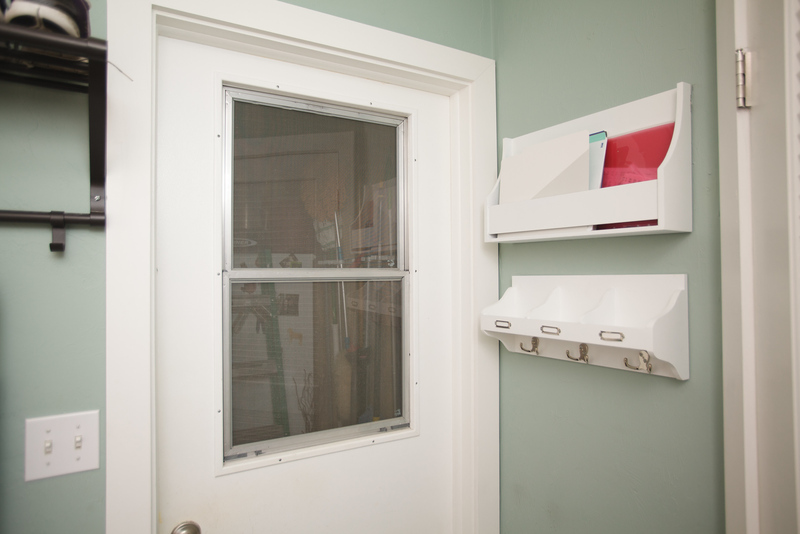 Our Laundry Room has many different functions: part entry, part mudroom, part laundry room. It is the first space we enter when we come home, so we wanted the space to be fun and inviting. The first step of our decoration and reorganization was to paint the walls a fun color. We chose Benjamin Moore HC-143 Wythe Blue, which is a wonderful earthy Robin’s Egg shade that brings a smile to my face when I walk in the door. 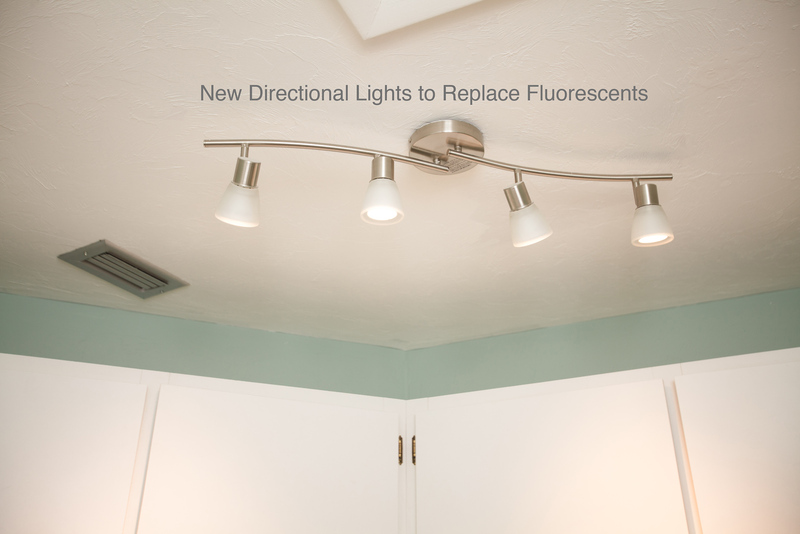 The second step was to replace the overhead fluorescent light with a directional light from Home Depot. The change in paint color and lighting made the room seem more inviting. 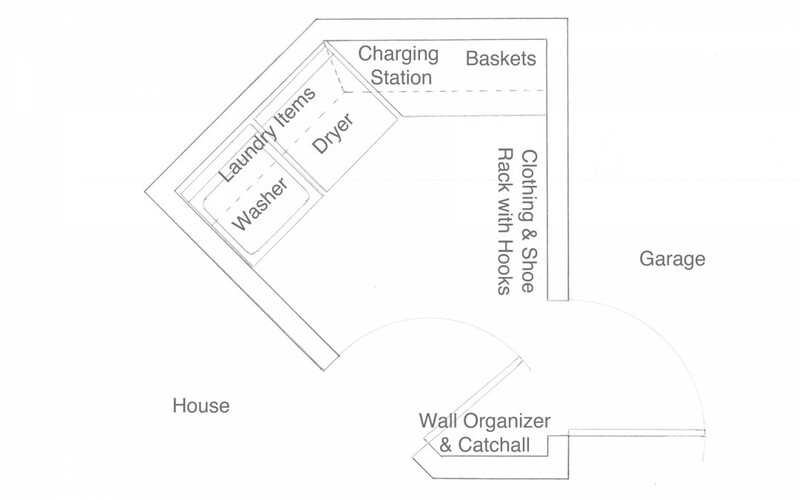 Because our laundry room is a multi-purpose space, it accumulates a lot of clutter. 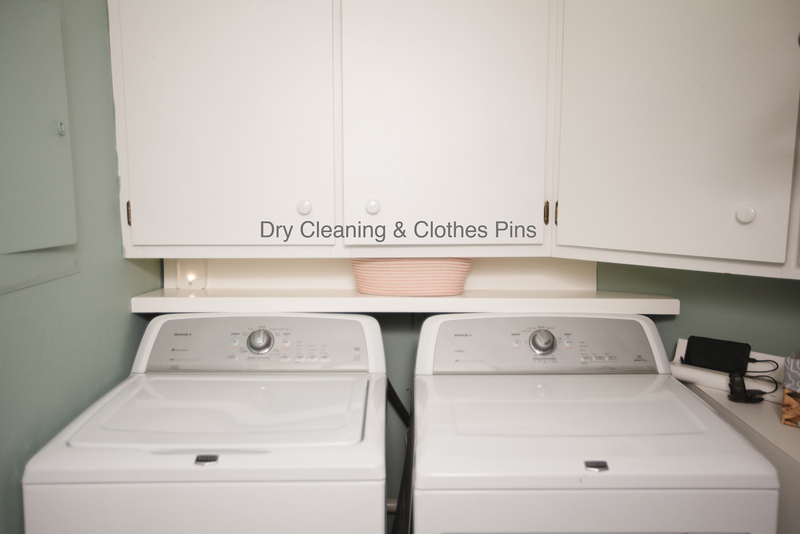 Our first step toward clutter management was to find a solution for the general laundry clutter. 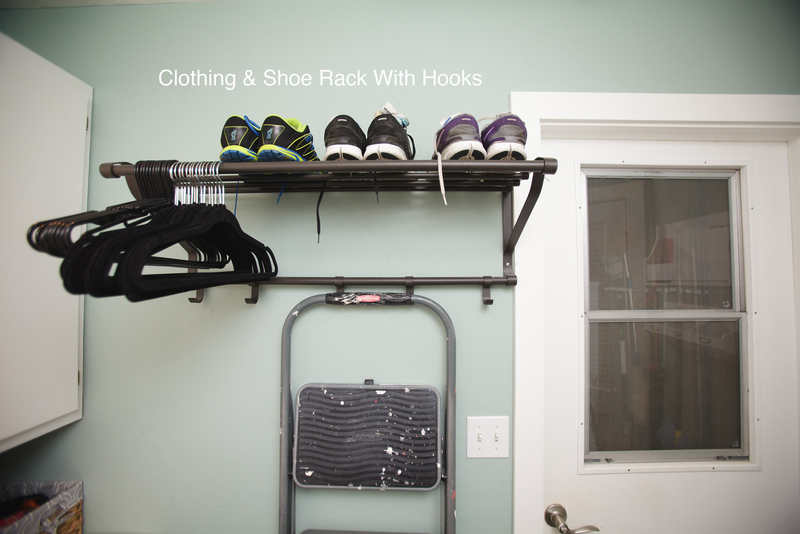 We needed a place to hang our laundry, and we found a multi-purpose shelf at IKEA that had a rack for our laundry, a space for our shoes, and hooks that could hold a step stool. We also consolidated our hangers and limited them to black plastic hangers for Matt’s polo shirts and black velvet hangers for everything else. 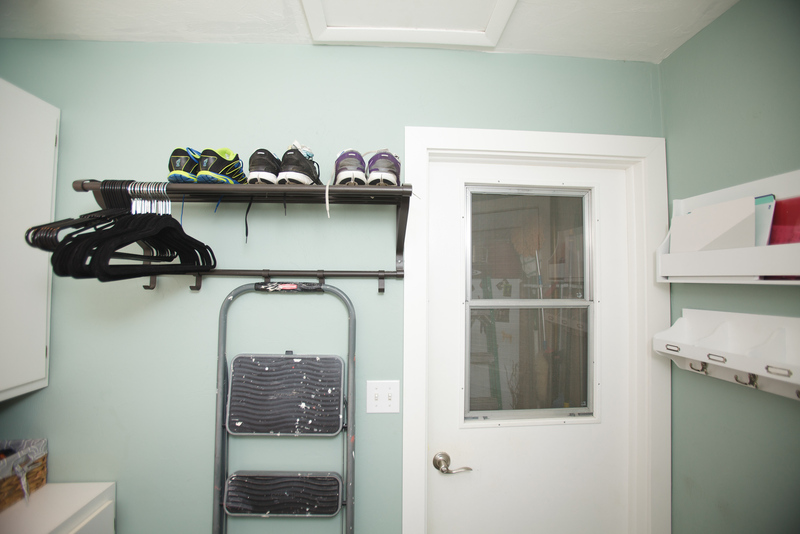 We hung the shelf as close to the garage door as possible to give the overhead cabinets room to open. We also purchased a slouchy cloth basket from target that fits snugly between the overhead cabinets and the washer and dryer shelf. 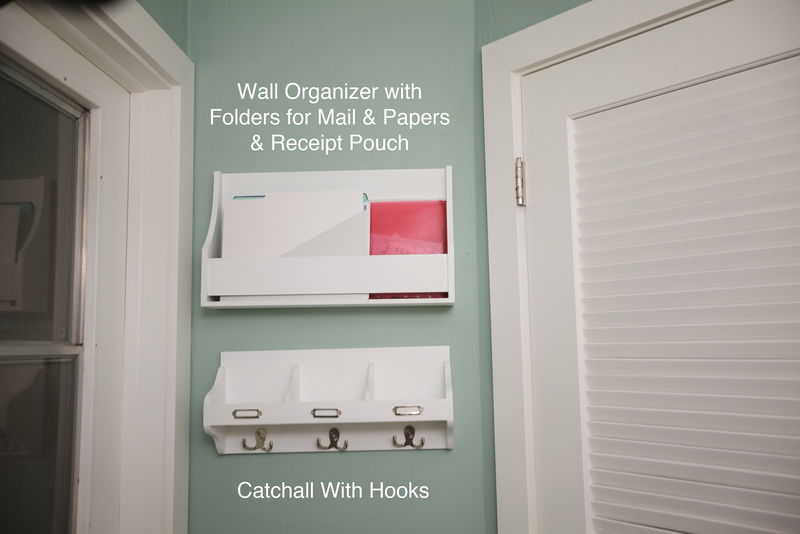 It holds at-home dry cleaning items and clothes pins. The next step for clutter management was to corral the items we use daily, keeping them easily accessible. We purchased three cloth-lined baskets from Home Goods that fit perfectly over the cabinet to the side of the dryer. 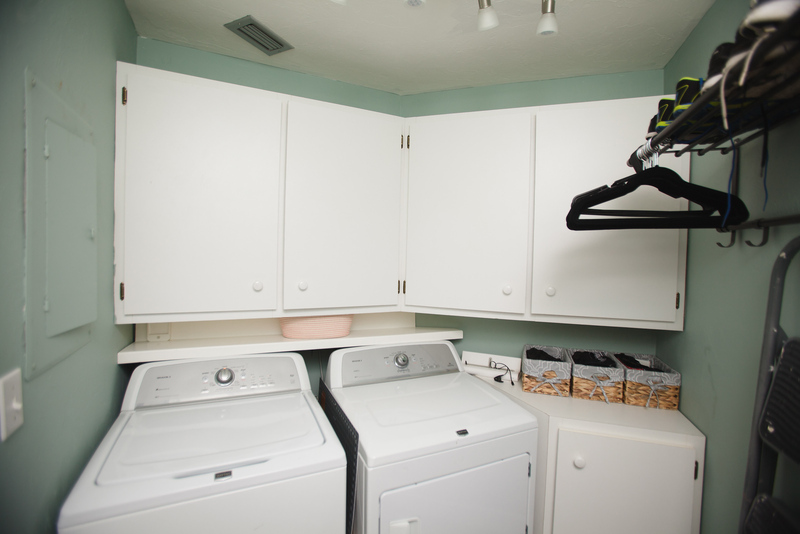 We store delicates bags and collapsible laundry hampers in the one closest to the washer and dryer. Athletic gear, hats, and gloves go in the middle basket. 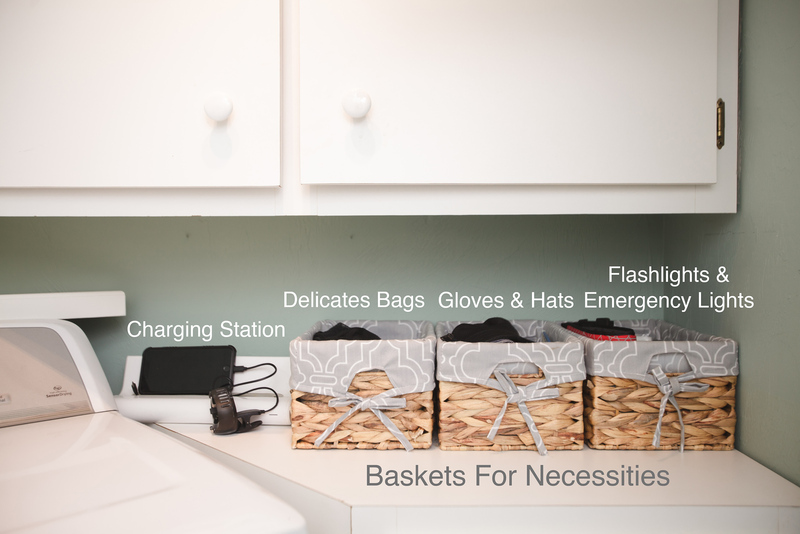 And flashlights, strobes, and emergency lighting fit neatly in the basket closest to the door. All items look neat and tidy in the baskets and are easily accessible. We finally added a charging station to keep our electronics handy as we walk out the door in the morning. We finally needed a solution for the items we bring in every day, such as mail, keys, and bags. Most of these items end up on top of the dryer or on the kitchen counter. We purchased a wall-mounted mini-bookshelf from the children’s section at Target to keep file folders for mail and bills that we plan to go through later in the week. We purchased white folders to match the white mini bookshelf. We added a plastic zippered bag for receipts so we always know where to find them. Right below the bookshelf we hung a catchall that has three slots for keys, coins, and knickknacks. It also has hooks for bags or even a dustpan and brush. We considered adding a calendar and magnetic chalkboard, but decided against it as we keep up with our calendars and notes on our phones. Those would be fantastic additions if you are looking to create a centralized family command center. 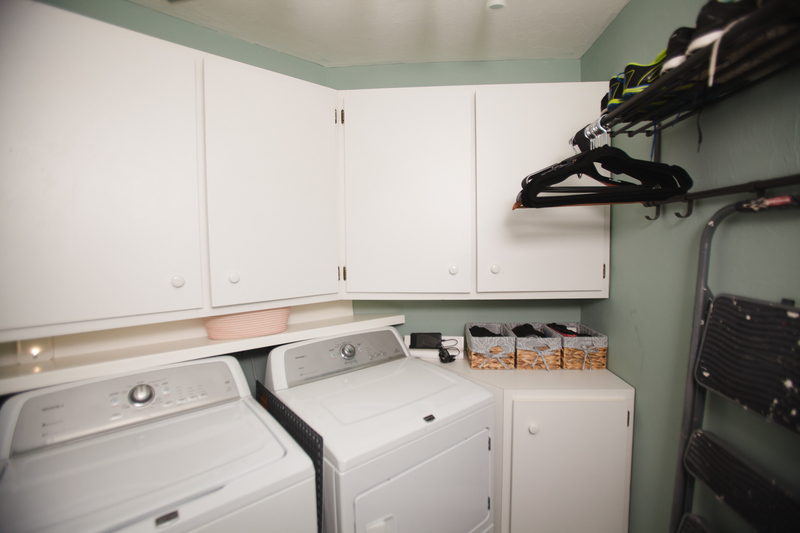 While our laundry room is small, it is functional and inviting. The plan below and additional photos should give you an idea of how the space fits together.